Join us and the Medaille Trust at Liverpool Cathedral for two events to commemorate Bakhita Day. 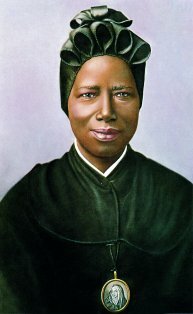 Josephine Bakhita is the patron saint of victims of human trafficking and modern slavery and on her feast day, the 8th February 2018, the Diocese of Liverpool and Medaille Trust will be marking the occasion with reflection, prayer and a re-commitment to justice for all. Furthermore we will celebrate the outstanding work of so many who work with victims today in their recovery and healing. The session will include thought provoking presentations, reflections, readings and music. There will be exhibition stands and literature from The Medaille Trust and The Clewer Initiative plus a craft stall of items for sale from the Mama Margaret anti-trafficking project in Kenya. This will be followed by Evensong in the Quire of the Cathedral at 5.30pm.